Back in 2014, illustrator Katie Shaw got busy on a life-long dream of creating her own comic, based on the works she loved growing up. The result is Dragon Child, an on-line black and white fantasy comic created, written, and drawn by Katie, that is also available in paper form. Over the past year she’s been appearing at various comic conventions in the western USA to introduce people to her work. What’s the story? When the dragons of the world gather from the four corners to decide what to do about the growing impact of humans, a young girl named Ryu Kodomo discovers that she has caught the attention of an elf named Chase — and a precocious young “dracling” named Embyr. The comics and much more background material can be found at the official Dragon Child web site. 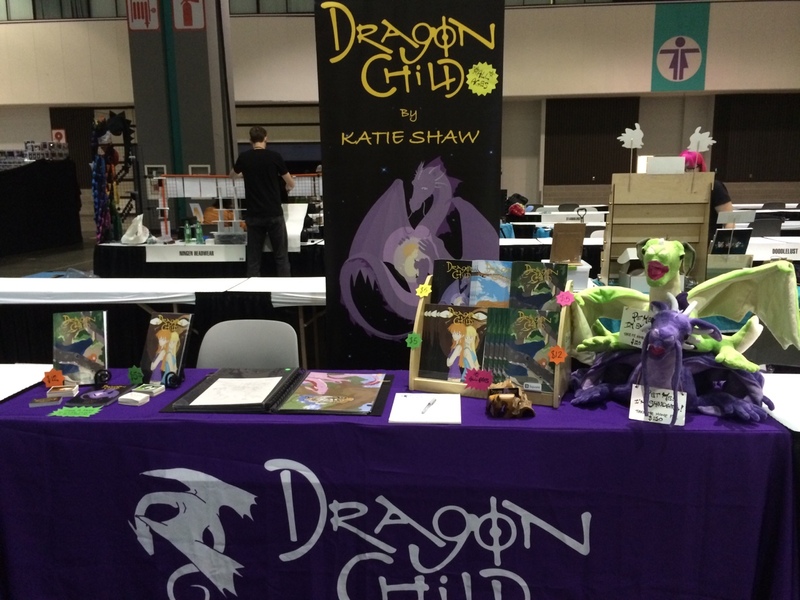 Did we mention that Katie sells plush dragons too?